Manhattan Toys Skwinkle| Interactive Toys for Babies at SugarBabies! The soft plastic loop is easy to grasp and makes a soothing teether. 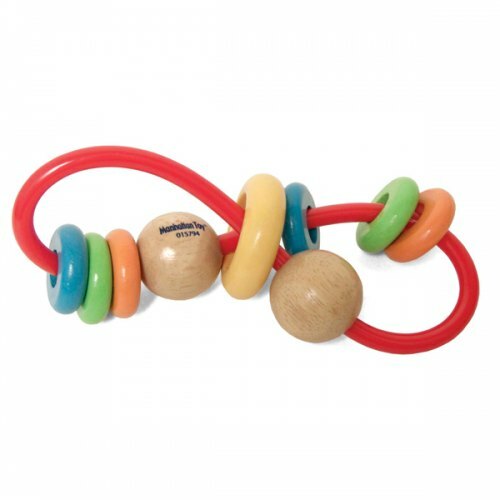 Wood beads travel along the loop for a fun clacking sound.